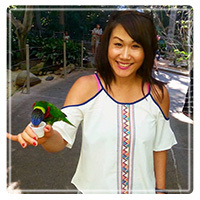 Tustin Therapist: Sharon Chan - Therapist 92780. I Am Certified In Evidenced Based Practices For Trauma, Anxiety, Depression, And Behavioral Issues. I have a certification in teaching special needs. I also have a passion for gifted and highly sensitive individuals. Send A Message To Sharon. Sharon Chan is a Licensed Marriage and Family Therapist with ten years of experience who has worked with teens, tweens, children, parents, individuals, couples, and families. Sharon has been honored to witness clients change, grow, and develop throughout her years of service and is passionate about mental health. Teens ,children, and individuals with anxiety, depression, trauma, behavior issues, and self esteem. Individuals going through loss, transition, communication, and relationship difficulties. Parents that are struggling to reach or understand their child/teen. Children, teens, and young adults that are struggling in the school system or in social situations. Children, teens, and individuals that are identified as having special needs,gifted, highly sensitive or with different learning or relating styles. Philosophy: Sharon starts off with the mindset that each person that walks into her doors has value and strengths, with challenges. Her approach is to attempt to create a safe space to understand and identify the entire person while capitalizing on the client's strengths. Sharon doesn't believe that one treatment approach works for all. In fact, in the work that she does, she often finds herself using a variety of different tools and approaches to fit the client's needs. Attachment Based Lens: Sharon works from an attachment based/relationship based lens. What does that mean? She believe that our experiences shape us. From a very early age we are impacted by the relationships in our lives which informs our view of ourselves, others, and the world around. The relationship that is created between the therapist and client is a professional and unique lens to assist the client to identify and communicate how to get their needs met in healthy and effective ways. The therapist and client relationship is very important and can help to create emotional positive corrective experiences which then also helps clients to feel empowered to related differently with the world around them. Evidenced Based Practices: Sharon is trained and certified in evidenced based practices for trauma, anxiety, depression, and behavioral issues. Some of the evidence based practices that she uses also have a cognitive behavioral component. Office therapy: Office is located in Tustin, California. My address is 242 West Tustin, Ca. Ste 105. My rate for a 50 minute session ranges from $140-$150. There are a few sliding scales currently available but that can change in the near future. Home therapy: I can travel to your home if it is within a 10-15 mile radius from my office. I charge $150 for a 50 minute session plus the gas mileage time. We can discuss this in our initial consult. Internet sessions: I do offer internet sessions after the 1st face to face session if you reside in California and if clinically deemed appropriate. These sessions $85-$100 for a 50 minute session. Student Sliding Scale: I remember how hard it was being a student and wanting my own therapy. I offer a student sliding scale of $100 per 50 minute session. Collaboration with others including IEP teams, teachers, doctors,etc for effective treatment. Worked as a special needs teacher/educator for 7 years in a school setting and one on one setting. As a mental health professional, worked in the school setting, home setting, and community setting. Facilitated groups for elementary, middle school, and high school clients. Personal : Sharon was born and raised in Honolulu, Hawaii and moved to California about a decade ago to persue her education. Before that Sharon was a special needs educator in Hawaii and obtained her degree in special education. Sharon identifies as a highly sensitive person and truly enjoys being able to help others to heal, grow, and thrive in their personal journey. Therapy has been such a safe and transforming experience for her and she understands the courage and difficulties it takes to go through it. Graduated in 2009 from Fuller Theological Seminary with my Masters Degree in Marriage and Family Therapy. Graduated and received teaching credential in Education and Special Education in Hawaii in 2002.